Russian President Vladimir Putin has said that the two men accused by the United Kingdom of attempting to murder a former Russian double agent and his daughter are not criminals and have been identified as civilians. British prosecutors charged two Russian nationals, identified as Alexander Petrov and Ruslan Boshirov, last week for allegedly poisoning former spy Sergey Skripal and his daughter Yulia with a military-grade nerve agent in the city of Salisbury in March. 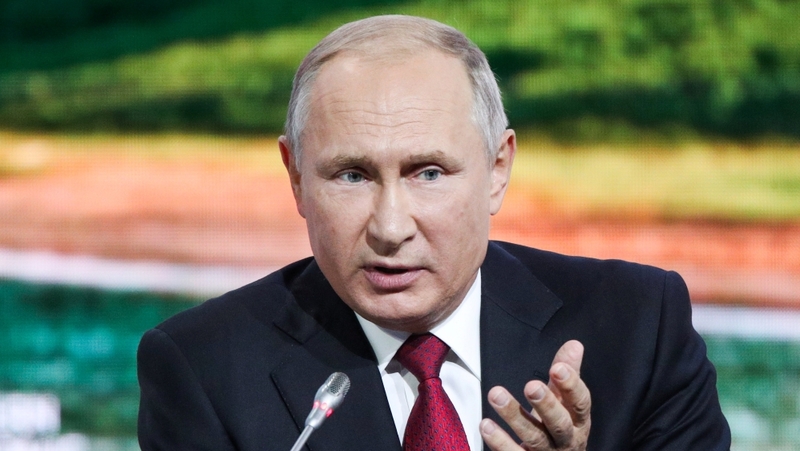 Putin, speaking at the Eastern Economic Forum in the Russian port city of Valdivostok, said that Russia had found the two men, there was nothing criminal about them and that he hoped they would come forward and tell the world their own story. “We, of course, checked who these people are. We know who they are, we found them… I hope they will come out themselves and speak about themselves. It will be better for everyone,” he told reporters on the sidelines of the economic summit. “There is nothing special there, nothing criminal, I assure you. We’ll see in the near future,” he added. Putin urged the two men to speak to the journalists. On March 4, Skripal and his daughter were found slumped unconscious on a bench in Salisbury after being exposed to the nerve agent Novichok. They spent weeks in hospital before being discharged. The failed attack triggered a major diplomatic crisis between the UK and Russia, with the British government alleging Moscow was responsible for their attempted murder. Russia has repeatedly denied any involvement. UK Prime Minister Theresa May said the two suspects were Russian military intelligence officers almost certainly acting on orders from high up in the Russian state. In response to the charges last week, the Russian foreign ministry said that the names and the photographs of the accused “mean nothing to us”. Al Jazeera’s Rory Challands, reporting from Vladivostok, said Putin’s remarks contradict the earlier claims made by the Russian foreign ministry. “That’s a change in the script there,” he said. British police said the suspects, both about 40-years old, flew from Moscow to London on Russian passports two days before the Skripals were poisoned. UK prosecutors said they had “sufficient evidence” to charge the pair, but did not formally demand their extradition, as Russia does not extradite its citizens.